A little something to bring along with you on your quest…no matter how far a distance it may be. A simple stroll down the road can become a magical expedition when you pack imagination. Kids teach us this. 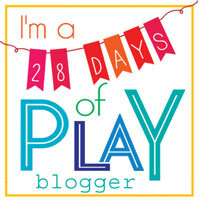 They remind us of the simple pleasures that get squeezed out of our cluttered adult brains. 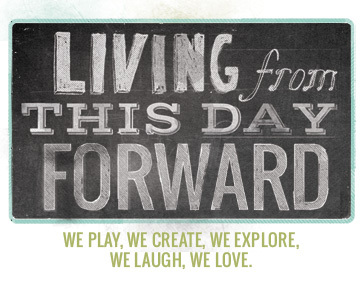 They have yet to be subjected to the unnecessary games we begin to play with ourselves as we move through life…and so they just be…and they dream. 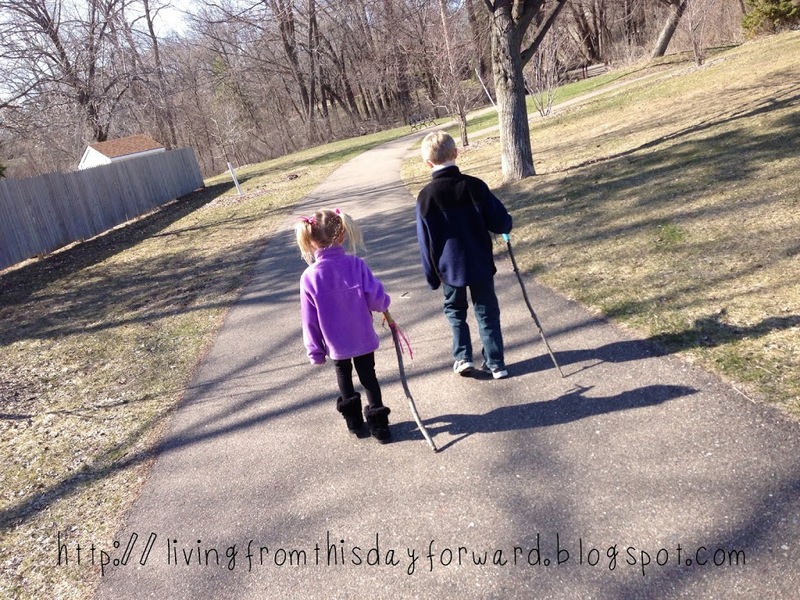 There is something very grounding about walking with a stick. Maybe it provides focus; a feeling of purpose, or perhaps it calls to the adventurer in us. Step outside on the sturdy ground; observe nature’s illustrations, hear the outdoor orchestra, and take in the organic aromas of the earth in spring. Make a moment. Make a memory. 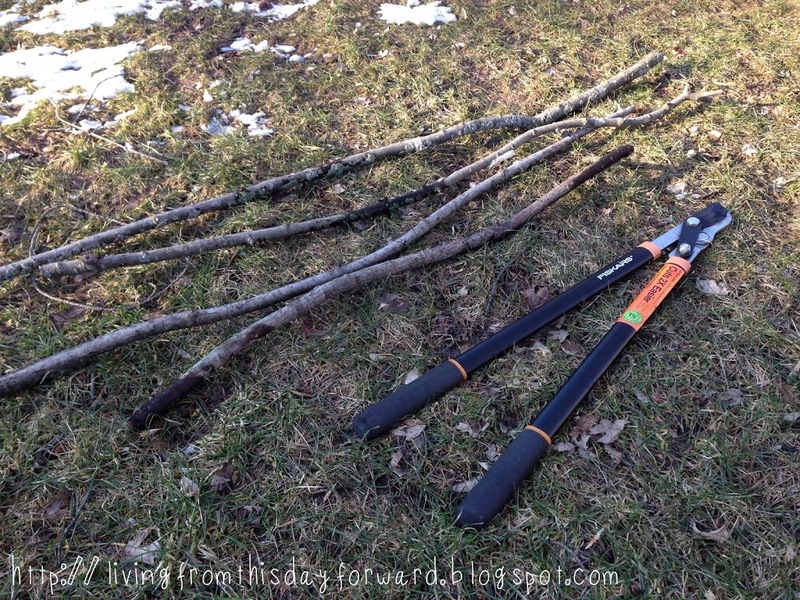 I’ll call this project… Adventure Sticks. We set out searching for the perfect branch. Our sturdy maples have been thoroughly schooled by Mother Nature this year so we had plenty to choose from right in our backyard. 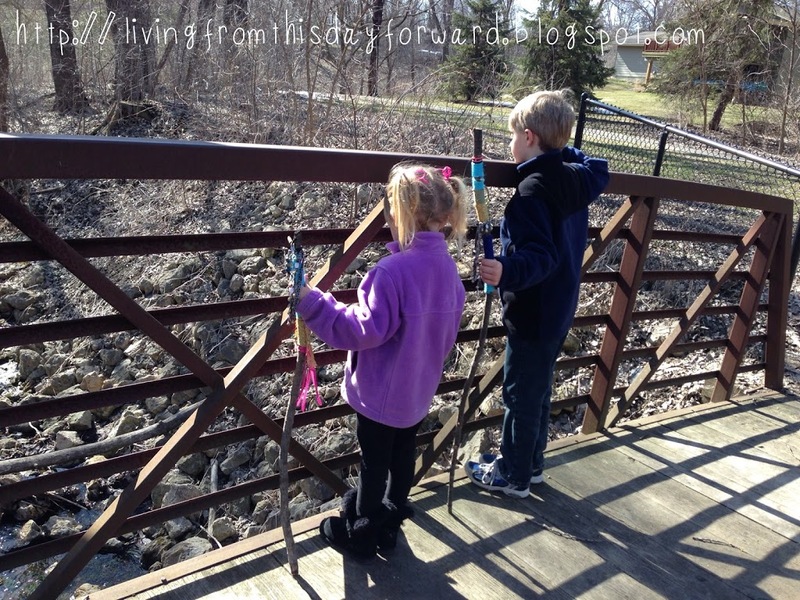 The kids wanted to find a nice thick stick that reached their shoulders, and begged them for a chance to shine. If you have the gift of nice weather, this is a perfect activity to do outside. Round up your supplies and hit the driveway or lay an old sheet out in the yard. It’s really very simple. 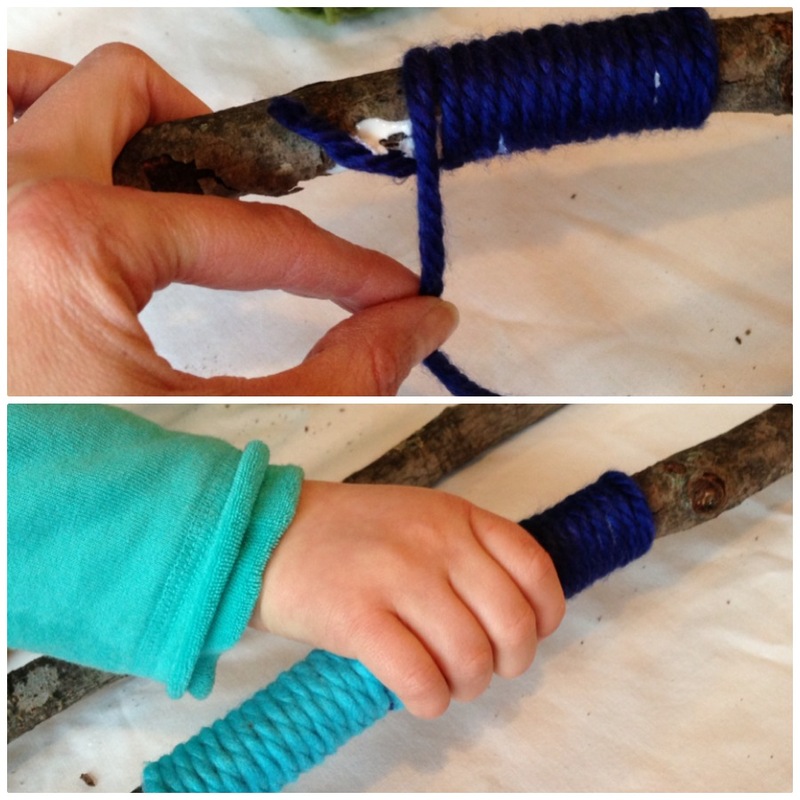 Choose the materials that you are drawn to begin to fasten them to the branch. I like having a nice comfortable handle so we wrapped yarn tightly around the spot that feels natural to hold. 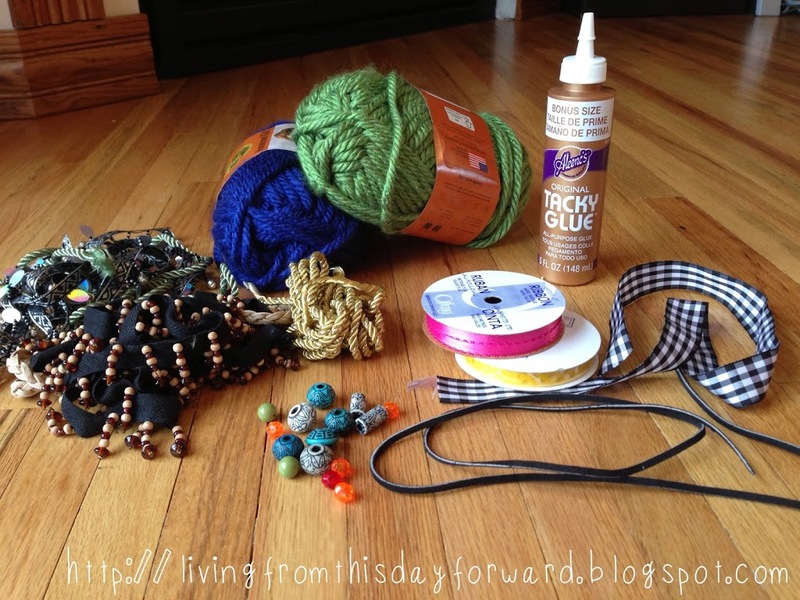 You will find many types of cord and trim at fabric/craft stores that would work well. 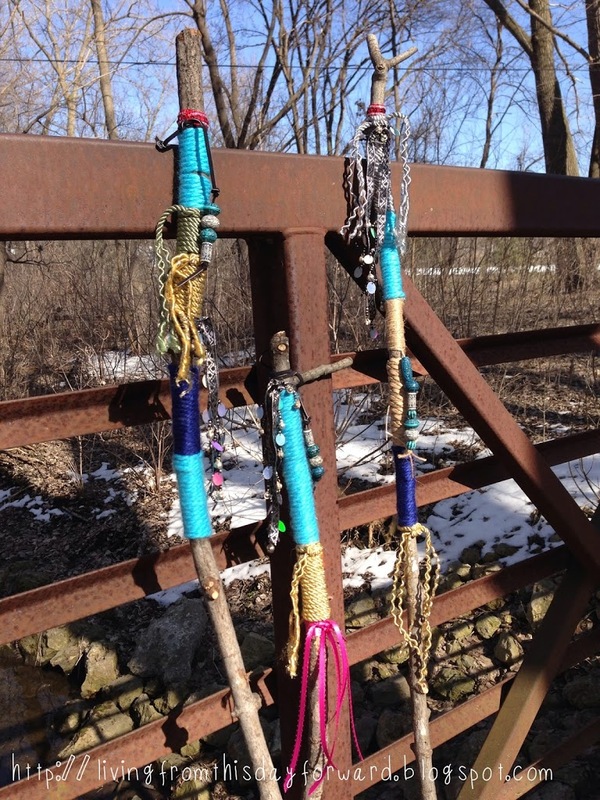 The babes loved the dangles so we beaded strings and frayed metallic cord to make tassels. Knotting ribbon in various lengths creates texture as well. One of our favorite trims had tiny ornate bells strung with beads. I love the blend of the natural and the brilliant. Explore your backyard, take a walk down the road, hit the trail to your favorite park, or carve your own path in nature. 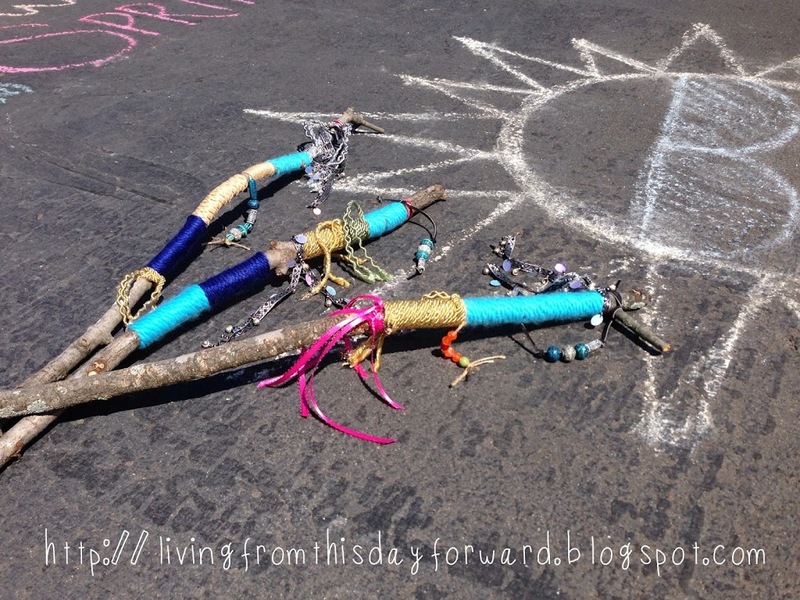 Dream up stories of the magical powers the sticks may hold. Maybe you’ll use the stick as a tool for awareness and work through something weighing on your mind while you walk…pray on your journey, work out a stress, or relish an accomplishment. 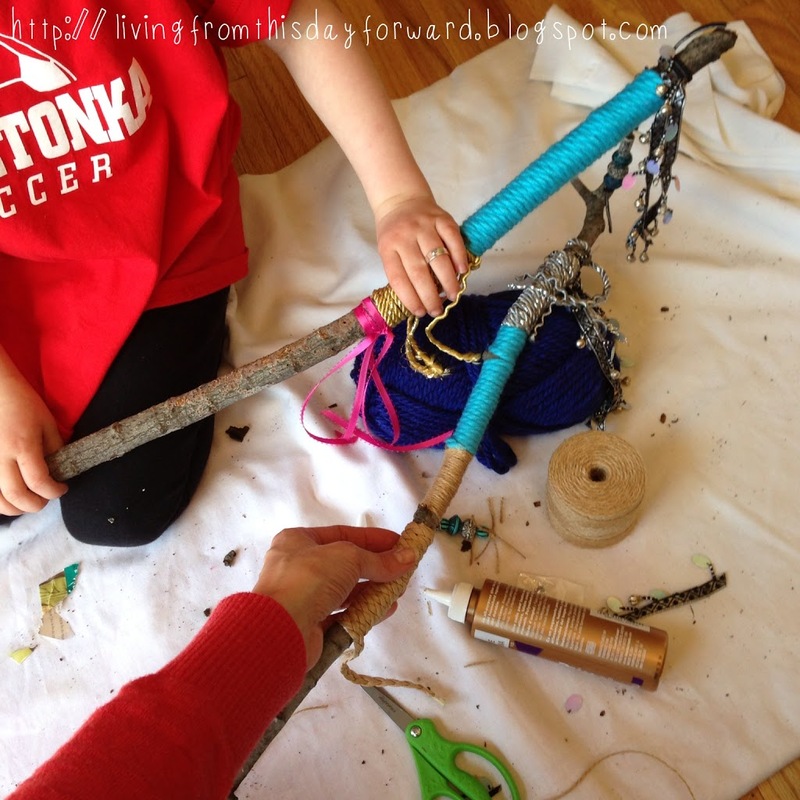 How about gifting an Adventure Stick (or: Courage Stick, Grounding Stick, etc.) to an important adult in your life? The walk through life can be hard and once in a while we need something to lean on while we collect our strength. As we walk, I listen to the faint jingle of the bells tied around the stick responding to the rhythm of their tiny footsteps, and I mentally bottle it. Their small hands grip the soft, comfortable threads wrapped around the branch. They like the way it feels against their skin. Occasionally they glance at their hand and admire its beauty. Today remains a day of contradiction for me: one of great loss and of great celebration. 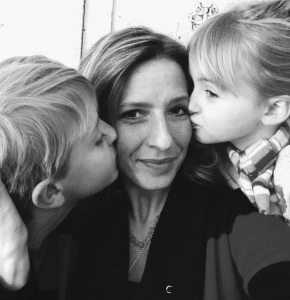 I will honor the father I lost far too soon with a walk in nature with my babes. It’s what would make his heart happy… and ours.